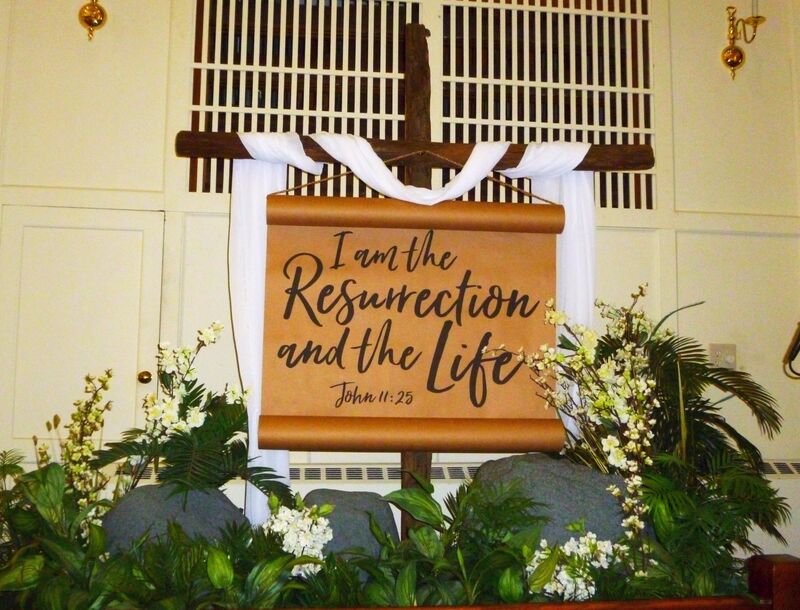 This Sunday is Easter Sunday, when Christians celebrate of the resurrection of our Lord and Savior Jesus Christ.Our church will be decorated with beautiful spring flowers and the music of hymns like Christ the Lord Is Risen Today will fill the sanctuary. It will be a glorious service and celebration. 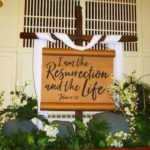 This Sunday is Easter Sunday, when Christians celebrate of the resurrection of our Lord and Savior Jesus Christ. 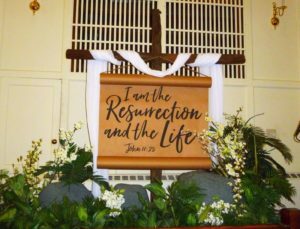 Our church will be decorated with beautiful spring flowers and the music of hymns like Christ the Lord Is Risen Today will fill the sanctuary. It will be a glorious service and celebration. Church-goers often wear new spring outfits on Easter Sunday. It feels good to wear the bright spring colors and put away the drab winter clothing. 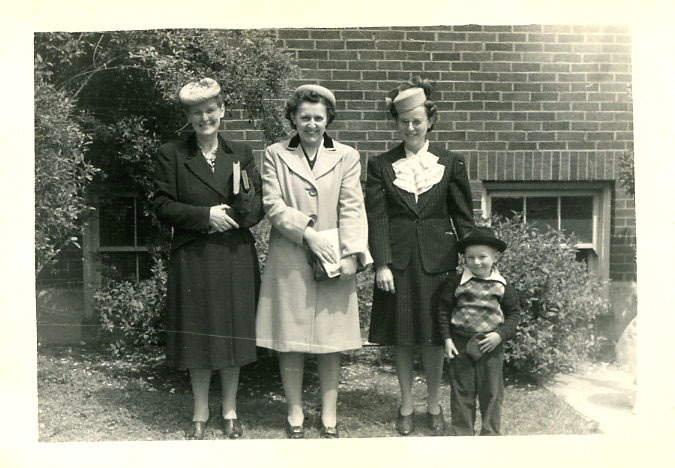 Years ago an Easter outfit also included a hat. Hats were worn by both men and women, but the women’s head-wear was usually more colorful and eye-catching. I wish I had a photo of her wearing either of these two hats. I tried them on but neither are flattering on me. That is why you do not see a photo of me modeling them here. The orange one is quite large and full! 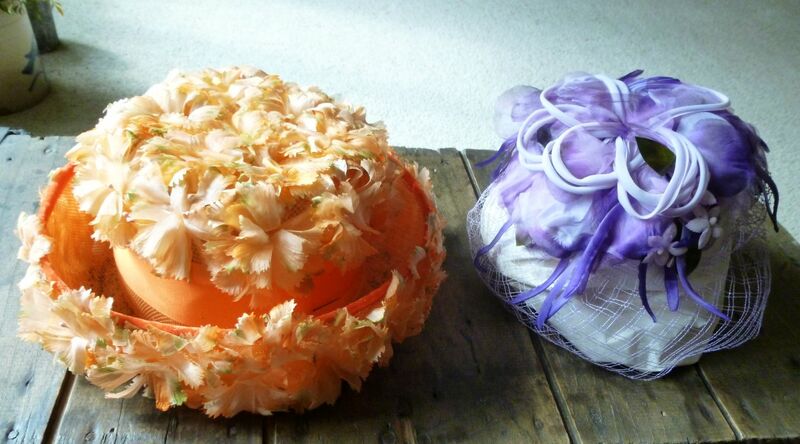 I remember one Easter when I wore a wide-brimmed, lacy, white Easter hat. An elastic band went around my chin to hold the hat in place. 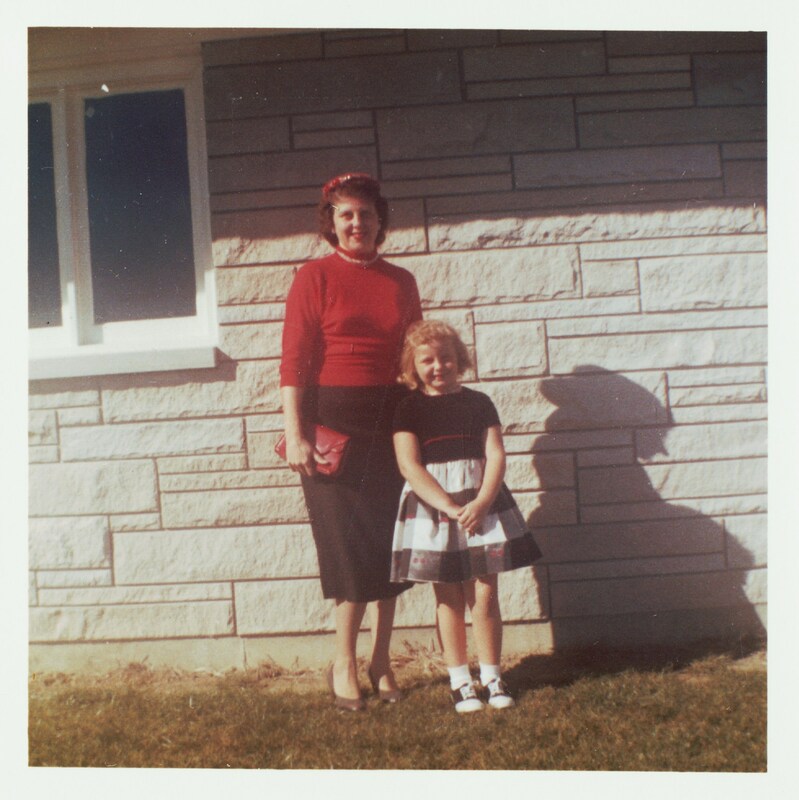 That elastic band came in very handy because the hat also had two long ribbons going down the back, long enough to fall between my back and the church pew. When I sat back against the pew the long ribbons pulled the hat backward. 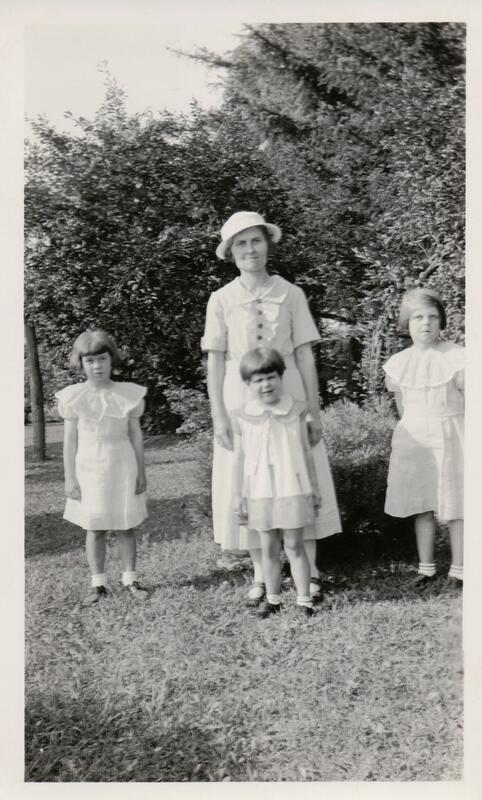 I am sure I looked very fashionable for a 5-year old, with my long curls and that big white hat, but the hat experience was not very comfortable. It was a long church service for all concerned. Not Easter photos, but I do have a few photos of ladies wearing hats. 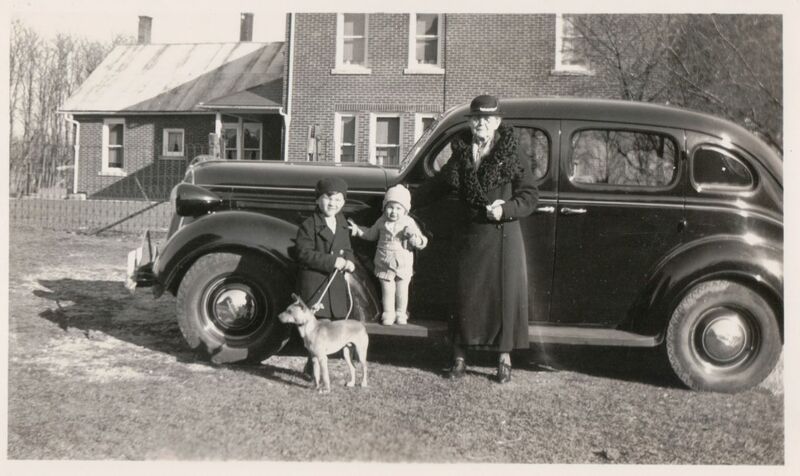 Caroline (Miller) Caffee, Ruth Miller, Donna (Johns) Caffee. 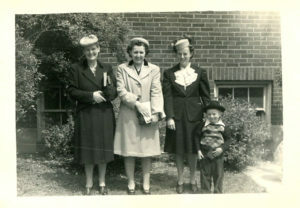 The ladies wearing hats are Caroline (Miller) Caffee, Ruth (Miller) Werner, and Donna (Johns) Caffee. 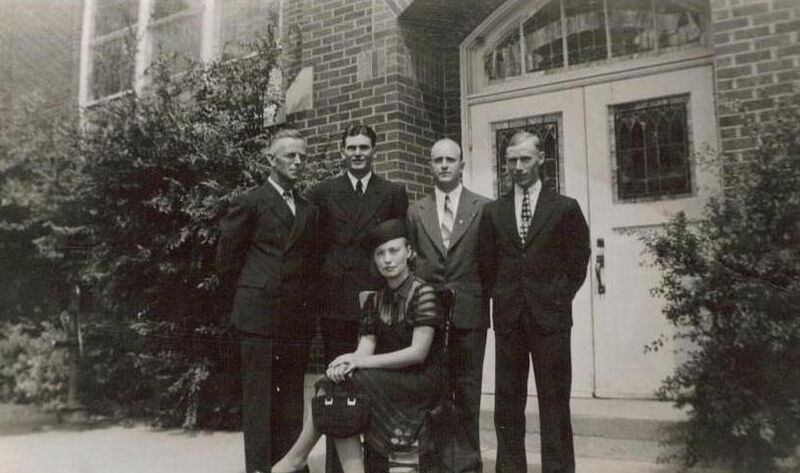 Caroline was my great-aunt, sister of my grandfather Carl Miller. Ruth is my aunt, daughter of Carl Miller. Donna was Caroline’s daughter-in-law, wife of Vernon Caffee. Easter Blessings from Karen’s Chatt. 28 Y. 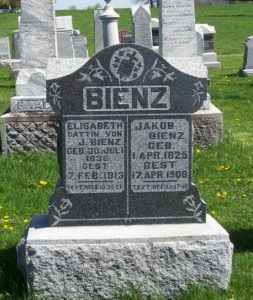 10 M. 10 D.
Pauline Charlotte (Germann) Bienz was born In Harrison Township, Van Wert County, Ohio, on 24 September 1862, as recorded in her death/burial record at Zion Lutheran Church, Schumm. She was the daughter of Johann Phillip & Mary Elizabeth (Jung/Young) Germann. 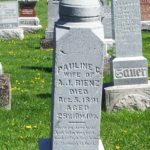 Pauline Germann married Johann “Adam” Bienz in Van Wert County on 25 September 1887. Adam was the son of Jacob and Elisabeth (Pflueger) Bienz and was born 26 October 1858. Adam and Pauline Bienz had two children: “Mina“ Elisabeth Bienz, born 18 December 1888, and Walter Stephan Bienz, born 17 May 1890, died 18 May 1890. 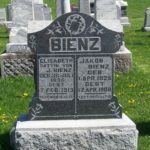 Pauline (Germann) Bienz died at 1:30 in the morning of 5 August 1891, after a prolonged illness of throat consumption, according to Zion Schumm’s records. She was 28 years, 10 months, and 12 days old, according to the church records, and 28 years, 10 months, and 10 days old according to her tombstone. She was buried on 7 August. 1870 U.S. Census, Harrison, Van Wert, Ohio, p.4 (penned), dwelling & family 28, John P Germann; digital image by subscription, Ancestry.com (https://www.ancestry.com/search/collections/1870usfedcen/ : viewed 14 Apr 2019). 1880 U.S. Census, Harrison, Van Wert, Ohio, ED 148, p.16 (penned), dwelling 135, family 137, JP Germann; digital image by subscription, Ancestry.com (https://www.ancestry.com/search/collections/1880usfedcen/ : viewed 14 Apr 2019). “Ohio, County Marriages, 1879-2013,” database with images, FamilySearch (https://www.familysearch.org/ark:/61903/3:1:S3HT-65XH-H3?i=119&cc=1614804 : viewed 10 Mar 2019), Adam J Bienz & PC Germann, 25 Sep 1887; Van Wert County Marriages, Vol. 7:181. 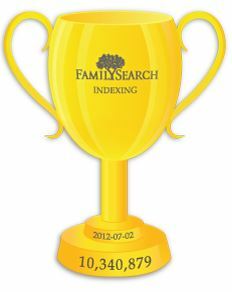 “Indiana Marriages, 1811-2007,” database with images, FamilySearch (https://www.familysearch.org/ark:/61903/3:1:S3HY-6GTH-1XV?i=240&cc=1410397 : viewed 10 Mar 2019), Adam J Bienz & Christiana W. Reinking, 8 Apr 1893; Adams County Marriages, Vol. F:478. Find a Grave memorial no. 106418617, Wilhelmine Christine “Lena” (Reinking) Bienz, Immanuel Lutheran Church Cemetery, Decatur, Adams County, Indiana. “Indiana Marriages, 1811-2007,” database with images, FamilySearch (https://www.familysearch.org/ark:/61903/3:1:S3HT-DRS9-DQ8?i=49&cc=1410397 : viewed 10 Mary 2019), Adam J. Bienz & Christena Mathilda Blakey, 14 May 1899; Adams County Marriages, Vol. G:492. Find a Grave memorial no. 98917043, Christina Mathilda Bleeke Bienz, Immanuel Lutheran Church Cemetery, Decatur, Adams County, Indiana. Find a Grave memorial no. 98917041, Adam Jacob Bienz, Immanuel Lutheran Church Cemetery, Decatur, Adams County, Indiana. 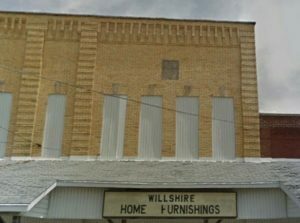 Willshire had several fraternal societies in 1904, and evidence of one of them is still visible to this day. 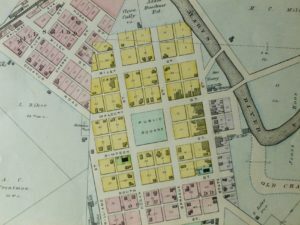 Below is an 1886 map of Willshire. Although it was printed 18 years before this 1904 newspaper, it is a nice map showing the streets and a few of the businesses and churches. It gives you an idea of where some of these meetings were being held. 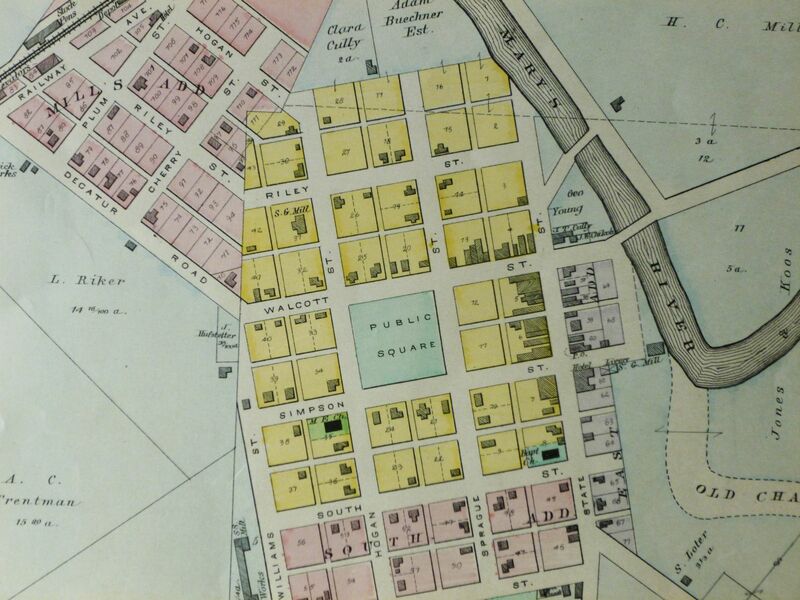 1886 Map of Willshire, Ohio. Today, notices of some Willshire church and society meetings in 1904. The Willshire Herald, 5 May 1904. The ME Church was on the corner of Simpson and Hogan. Regular Services every Sunday at 10:30 a.m. and 7:00 p.m. Sunday School at 9:30 a.m. Prayer Meeting Thursday evening. Everyone invited. Willshire Lodge, F. & A.M. Regular meetings first and third Wednesday of each month. Hall in the Cornell Block on Wolcott Street. This society was the “Free and Accepted Masons.” Secretary D.O. 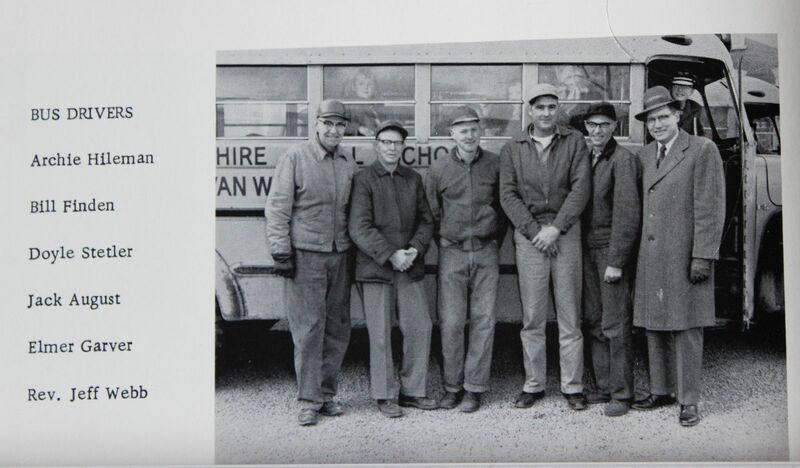 Thorp was a painter and wallpaper hanger and his ad was mentioned in the paper before. Regular Meetings second & fourth Wednesday of each month at Masonic hall. Visitors cordially invited. “Order of the Eastern Star,” is a Freemason organization and the largest fraternal lodge to which men and women can both belong, according to Wikipedia. Idora Chilcote and James Chilcote [W.M.–Worshipful Master of the Masons, shown above] may be related since both are in branches of the Masons. Regular meetings every Friday evening in hall over Clothing store. Visiting Brothers cordially invited. “Independent Order of Odd Fellows,” a non-political and non-sectarian fraternal society, according to Wikipedia. It evolved from the Order of Odd Fellows, which was founded in England in the 1700s. Their motto is Friendship, Love, and Truth and the first letters of this motto (FLT) are often inscribed in a three-link chain on a deceased member’s tombstone. 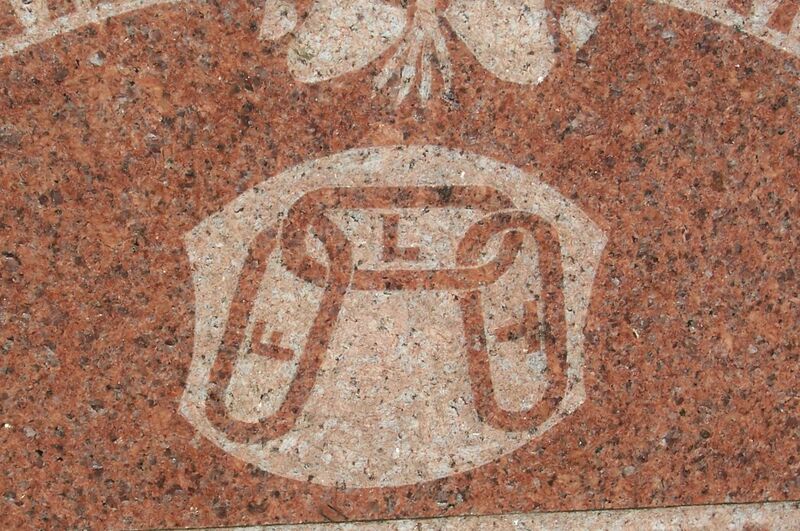 Sometimes they use only the three chain links, without the letters, on a tombstone to indicate their membership. Chas. 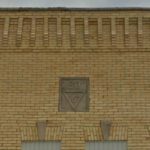 A. Knott Lodge No. 542, K. of P.
Meets every Tuesday evening. All Pythian Knights cordially invited to visit us. Wm. G. Hoffer, K. of R. and S.
The Order of “Knights of Pythias,” a secret fraternal benefit society. The symbol of this society is still visible on the west face of the building, above Willshire Home Furnishings. It is a triangle with “1907, FCB.” The FCB stands for their motto–Friendship, Charity, Benevolence. [Note that Wm. G. Hoffer was also the publisher of the Willshire Herald.] The Pythian Sister’s is K. of P. female auxiliary. 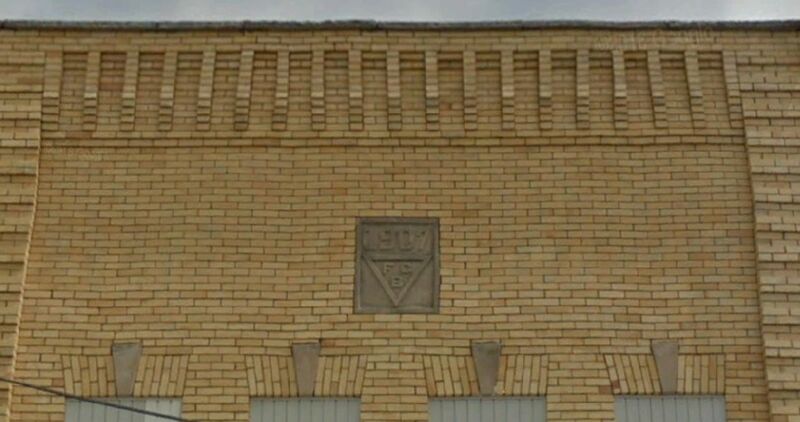 Knights of Pythias emblem, Willshire, Ohio. 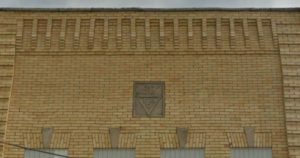 Knights of Pythias emblem above Willshire Home Furnishings. Willshire Central Star Lodge, C.M.A.-O.T.N. Meet every Thursday evening, in W.R.C. hall. All visiting members invited. I am not sure what these letters stand for or what this society was, although I see that John Wechter was C.C. [could be Castle Chancellor?] of the Knights of Pythias and C.E. Wechter was Secretary in the C.M.A.-O.T.N. 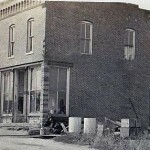 There could be a connection between the two Wechters and the latter society could have been a branch of the Pythian Sisters. Not sure, just speculation. Local Pythian Sister units are called Temples and there is a “T” in the letters. Hon. C.B. Hoke, the Happy Hooligan of Van Wert county Pythians, has a large sized boom for election as Grand Outer Guard at the Grand Lodge meeting in Cleveland next month. Hoke is not only one of the most enthusiastic of Pythians, but he is also one of the most deserving. The Grand Lodge will bring honor on itself by elevating Mr. Hoke to the position for which the Fifth district Knights in convention assembled nominated him by unanimous consent. These societies were very popular at that time and their symbols and insignia were often placed on the tombstones of their deceased members. 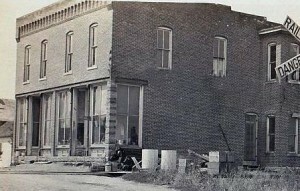 There were many such lodges and societies in the area and I have seen many of their symbols in Woodlawn Cemetery in Ohio City and in Woodland Union Cemetery in Van Wert. It is interesting to note how many different societies there were in an area by their tombstone insignia. Example of I.O.O.F. 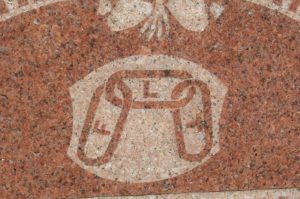 (Independent Order of Odd Fellows) insignia, Woodlawn Cemetery, Ohio City. Greetings from the Chattanooga, Ohio, area. Yes, Ohio has its very own Chattanooga, aka Chatt, a small village in west-central Ohio, near the Indiana border. I have been doing family history research for over 20 years and am a Board-Certified genealogist, certified by the Board for Certification of Genealogists®. 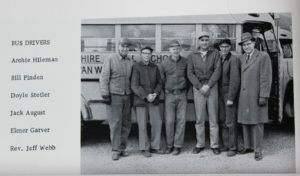 My main genealogical interests are family research, cemetery research, and historical and genealogical research of the Chatt area, with a focus on two area Lutheran Churches, both named Zion Lutheran, one in Chatt and the other in Schumm, Ohio. Family names I am researching include Miller, Schumm, Brewster, Rueck, Reid, Headington, Huey, Bryan, Whiteman, Schinnerer, Scaer, Breuninger, Bennett, and a few others. I belong to several lineage societies, including the Daughters of the American Revolution, U.S. Daughters of 1812, First Families of Ohio, and First Families of Mercer and Van Wert Counties. I am also a retired dental hygienist and our church organist. I hope you enjoy Karen's Chatt. Farrel Krall on Happy Easter! 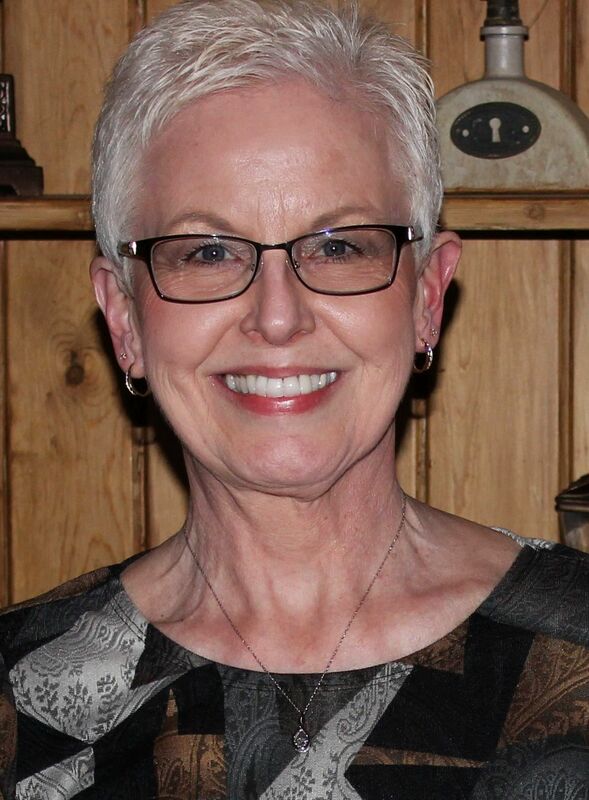 Click here to read Karen’s blog posts from 2018. Click here to read Karen’s blog posts from 2017. Click here to read Karen's blog posts from 2016. Click here to read Karen's blog posts from 2015. Click here to read Karen's blog posts from 2014. Click here to read Karen's blog posts from 2013. Click here to read Karen's blog posts from 2012. Click here to read Karen's blog posts from 2011. The words Certified Genealogist are a registered certification mark of the Board for Certification of Genealogists®, used under license by board certificants after periodic evaluation. The board name is registered in the U.S. Patent & Trademark Office.